This entry was posted on February 26, 2018 by raberry65. 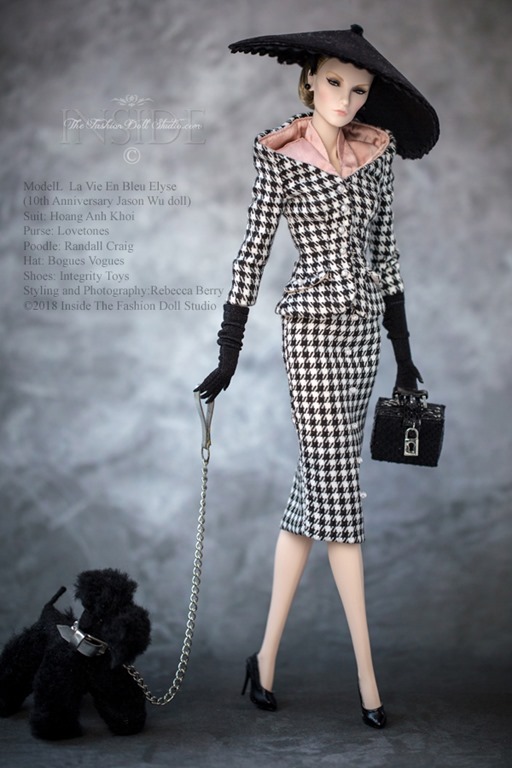 It was filed under Elyse Jolie, Fashion Royalty and was tagged with Bogue's Vogues, Canon 5d mark III, Canon EF 100mm f/2.8L Macro IS USM Lens, doll blog, doll collection, Doll Photography, Elyse Jolie, fashion doll blog, fashion doll collecting, Fashion doll photography, HOANG ANH KHOI, Inside the fashion doll studio, ITFDS, Jason Wu 10th Anniversary dolls, Lovetones, Randall Craig Poodle, Rebecca Berry Photography, toy artistry, toy photography. Yes! His tailoring is very very good. She looks amazing in that fashion! As always, beautiful restyling, Rebecca! Thank you so much Demetria! I am glad you enjoyed this restyling. I don’t think one can ever go wrong with a well tailored suit. FABULOUS as always, Rebecca !! I sure do love this look, this girl is kind of hard to love but there is something magical about her as we received her but this looks really suits her. 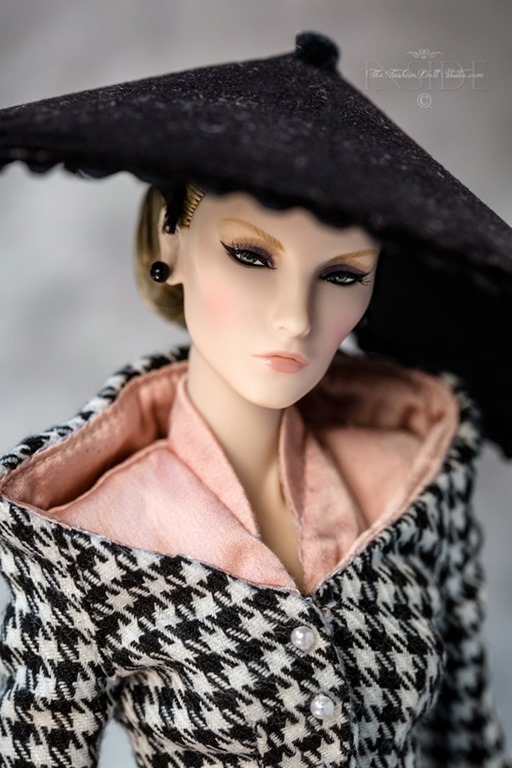 I also received this fashion and don’t know if I would have thought to use it on her. 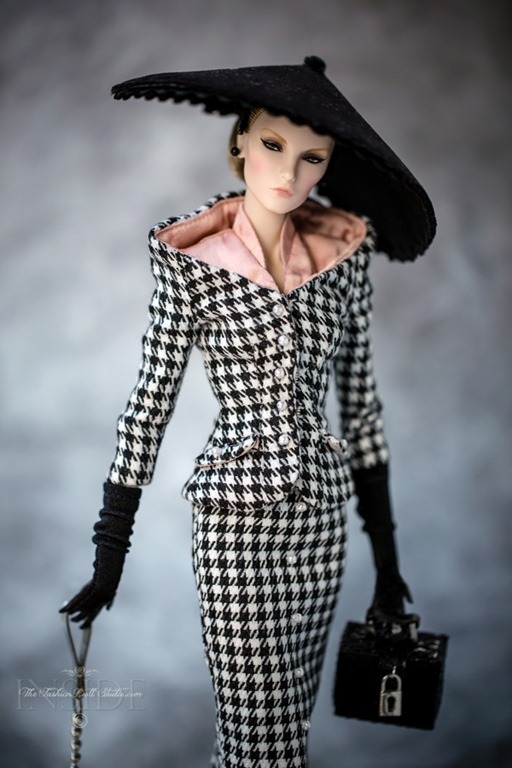 Her original fashion is stunning but the doll and dress don’t go together, thanks to you I might just be keeping mine.